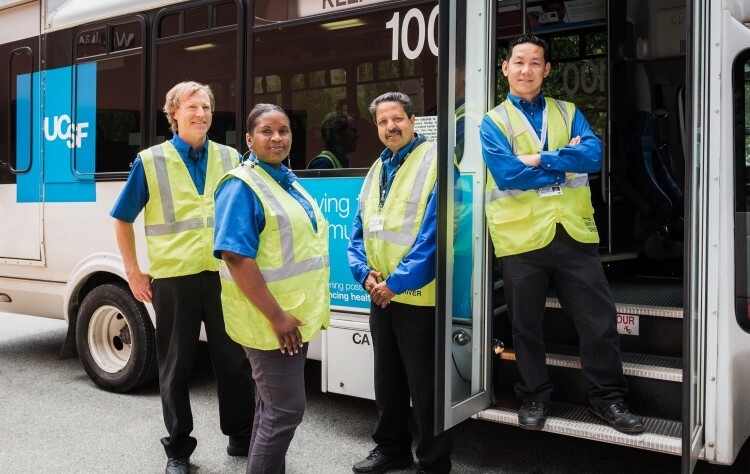 Frequent UC San Francisco shuttles connect our five major campus locations in San Francisco: Parnassus Heights, Mission Bay, Mission Center, Mt. Zion and Zuckerberg San Francisco General. Our shuttle network is designed to provide inter-campus accessibility, Monday to Friday, 5AM to 9PM, and ridership is restricted to UCSF faculty, staff, students, patients/family members, visitors and university guests. All UCSF shuttles are ADA accessible and equipped with wheel chair lifts to board patrons with mobility challenges.